When it comes to choosing a new pair of eyeglasses, what is the first consideration that comes to mind? Maybe you think about what kind of frames you’re going to choose. Will they be Kate Spade or Lafont? A classic style or perhaps something a bit more chic and funky? We encourage you to take it one step further and think about the lenses that will fit inside those stylish frames. 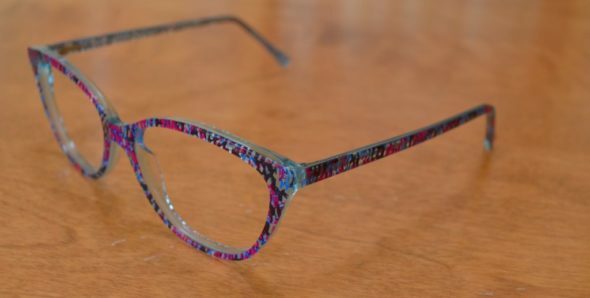 It can be easy to say no to special coatings on a new pair of glasses. For many, it can be as simple as a desire to save money when you can—understandably so. But before saying no to an optometrist or optician’s suggestion of an anti-glare or anti-reflective coating for those new lenses, consider just how helpful those coatings can be and the true value they deliver to your vision and comfort. Crizal is the name of a lens treatment made by Essilor of America and is the brand we often use. Crizal is an anti-reflective treatment that can enhance vision and minimize reflections. Crizal has multiple coatings, including Avance and Alize. These coatings also help protect lenses from scratches and smudges, and can even repel dust and water. More and more, people in the workforce are required to spend long hours staring at a screen, whether that’s a computer monitor or a handheld device. All that screen time can cause eye strain, even if we are unaware of it. Fortunately, there are some coatings that really help with this particular issue. Prevencia is a Crizal coat that takes things a step further by filtering harmful blue-violet light. This lens treatment would be incredibly helpful to people who find themselves looking at screens for the better part of their day. The blue-violet light is also produced by smartphones, televisions, LED lighting, and even the sun. Not only does this coating help in daylight, but can also prevent the bright halos caused by oncoming traffic when driving at night. Essilor has also recently introduced Crizal Sapphire 360o UV, featuring a new Multi-Angular technology. This innovation helps reduce reflection from any angle of light, providing wearers with the ability to combat reflections without the need to move their head, change posture, or remove their glasses altogether. All of our lenses have a scratch coating, so lenses will not scratch as easily. However, many people think this their lenses won’t scratch at all with this coat. They are scratch resistant, not scratch proof. Caring for your glasses properly–especially cleaning them properly–is important no matter what lens coatings you opt for. A UV coating is also included on all of our lenses. This coating will keep your eyes protected from the sun by blocking out the UV rays. It’s like sunscreen for your eyes! We hope this guide helps you make an informed decision when shopping for your next pair of glasses. If you have additional questions, we encourage you to contact us or stop by and chat with one of our state-licensed opticians at our Christiansburg or Salem office.